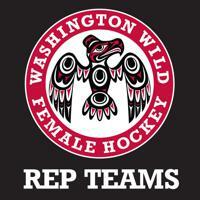 WWFHA is proud to announce the dates and open registration for the 2018-2019 Washington Wild Rep tryouts and the Western Washington Female Hockey League (WWFHL) / Washington Wild Travel Team evaluations skate. All players interested in trying out for a Rep AA team should attend the Rep tryouts. If not selected, players may skate for the League/Travel Team evaluation skate for free. All players interested in playing for a League and subsequent Travel Teams should attend the evaluation skate. 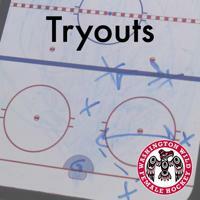 The Travel Team tryout will be at the same time as the League evaluation skate. *League Team Placement: Players will be contacted within a week of tryouts regarding their team placement for the league. Teams will be balanced for league play. Players interested in playing on tiered Travel teams arranged by skill level will also be evaluated. Travel teams play exhibition games and tournaments. Note: Unable to Attend a Tryout or Eval Skate? Please register anyway. *If you are unable to make the tryout or evaluation skate session and wish to play for a team, please register and indicate that you won’t be attending (you will not be charged a fee). We will update the coach and let you know how to proceed; however, we expect everyone to attend all ice sessions.